Michelangelo suffered for gouty arthritis and uric acid stones – these horrors can form when there is a large amount of uric acid in one’s urine. Our poor genius mentions these ailments in his correspondence to his nephew. His illness probably explains his enduring interest in kidney functions, well represented in his poetry and his drawings. Their most impressive depiction being the creator’s mantle in his famous fresco “The Separation of Waters” on the ceiling of the Sistine Chapel. Look at it carefully: it’s a bisected right kidney! The reputed surgeon Renaldo Colombo alleviated his sufferings with Fiuggi water “the water that breaks stones apart”, high in sodium bicarbonate. This goes to show that urinary pH manipulation to dissolve uric acid and kidney stones was not born yesterday. Today this famous and unique mineral water, Italy’s pride and joy, still prescribed to patients with kidney stones, is sold worldwide. 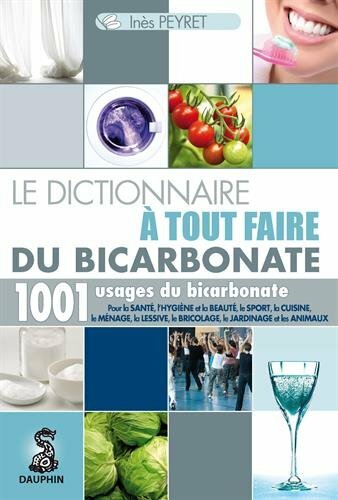 In le Dictionnaire à tout faire du bicarbonate.